7 Then Herod secretly called for the wise men and learned from them the exact time when the star had appeared. 8 Then he sent them to Bethlehem, saying, “Go and search diligently for the child; and when you have found him, bring me word so that I may also go and pay him homage.” 9 When they had heard the king, they set out; and there, ahead of them, went the star that they had seen at its rising, until it stopped over the place where the child was.10 When they saw that the star had stopped, they were overwhelmed with joy. 11 On entering the house, they saw the child with Mary his mother; and they knelt down and paid him homage. Then, opening their treasure chests, they offered him gifts of gold, frankincense, and myrrh. 12 And having been warned in a dream not to return to Herod, they left for their own country by another road. Preachers have a choice this Sunday. They can choose to observe the second Sunday of Christmas (the text is from John 1) or they can observe the Day of Epiphany (officially January 6). 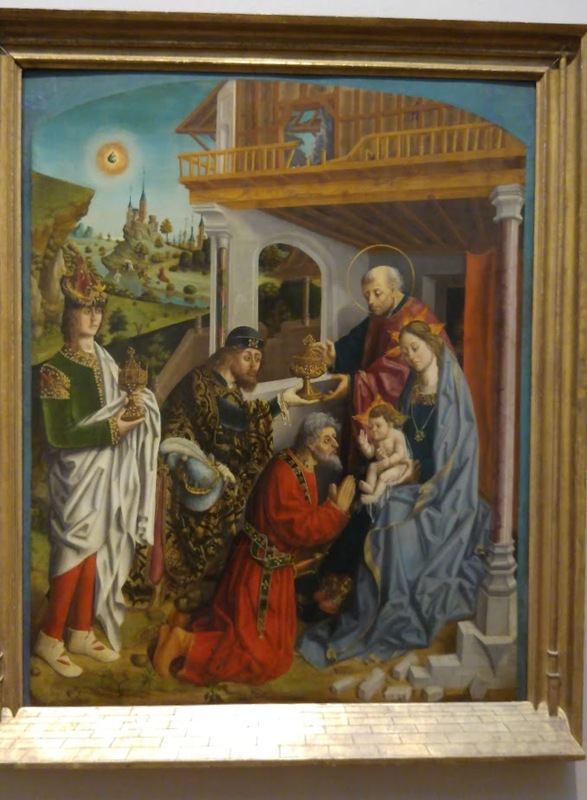 While the reading from John 1 is theologically compelling, the same can be said for observing Epiphany, together with its story of the visit of the magi (popularly the “three kings”). It is commonplace in our Christmas pageants and crèche scenes to place the “three wise men” at the stable along with the shepherds. It’s understandable that we merge Matthew and Luke's infancy narratives, but they are actually very different stories. Matthew’s birth story begins with the Holy Family already living in Bethlehem (only later moving to Nazareth because of political issues). The magi visit their home, not a stable. Jesus might be somewhat older than in Luke’s story (remember that Herod has all the male children under two killed as a precaution). Yes, Matthew is doing something very different here. The main plot of the story concerns the journey of a group of magi or wise men to pay homage to the new “king of the Jews.” These magi are astrologers, possibly from Babylon, which was known as a center of the astral arts. They are also Gentiles. They discover a star that points them them toward Jerusalem, to celebrate the birth of the king of the Jews. The group pays a visit to Herod, the reigning king. If a new heir has been born one would expect to find him in the royal palace. Herod, who is known for his cruelty and wickedness. is confounded and concerned. Therefore, he wants to know more. He consults the religious leaders, who tell him that according to Scripture (Micah 5), Bethlehem is the likely place to find such a messianic figure. When Herod finds this out, he sends the magi off to find the child. After all, you can never be too careful. Pretenders to the thrown were commonplace. And he was known to do all he could to eliminate rivals. So off go the magi in search of the child. According to Matthew, as they approach Bethlehem the star once again appears, guiding them to the home of the Holy Family. They enter the home, offer gifts appropriate for a young prince or king (gold, frankincense, and myrrh, thus three kings! ), pay their homage, and then head back home. But, having been warned in a dream, they head home by a different road, thus avoiding Jerusalem and Herod. The story offers a variety of approaches. For our part, I’d like to focus on the witness of the magi. In this story Matthew confirms the promise of Christianity as a fulfillment of the promise to Abraham and Sarah that in their descendants the nations would be blessed. Right at the beginning of the story, Gentiles are present, bearing witness to Jesus. They recognize him as king. While the magi honor Jesus as king, it is interesting though that there is no sign that these wise men are converted. They offer gifts and then leave. The give homage, but not necessarily allegiance. So, I wonder what the passage might say to us about our relationships with other faith traditions. Remember that these sages look to the stars for the sign that leads them to Jesus. It doesn’t seem that anyone else sees the star. Certainly Herod wasn’t aware of it. They were just about their religious business when they discerned that something important was happening in Judea, and they needed to check it out. Thinking in terms of the day—Epiphany—we think in terms of those manifestations of God’s presence that reveal something important about God. It’s good to remember here God’s presence was recognized and honored by those whom we often designate as being outside the faith. Sometimes those who aren’t part of the community see things we don’t. It makes sense for us to consider what this says about our interfaith relationships. What can we learn from each other? To learn from each other doesn’t mean we all believe the same things or that all paths lead to the same place (differing traditions envision differing destinies). Nonetheless, in our conversations with each other God can become manifest, enlightening our eyes. If only we’re willing to open them. That should be our prayer—open our eyes that we might see the star and follow it to the house in Bethlehem, where God has been made manifest in Jesus!